ItemBottom of peremitka (headpiece). Stanislav region. ItemEmbroidered sleeve of a woman's blouse. Rivne region. ItemMotifs of the weaving patterns. Zhytomyr region. XIX century. 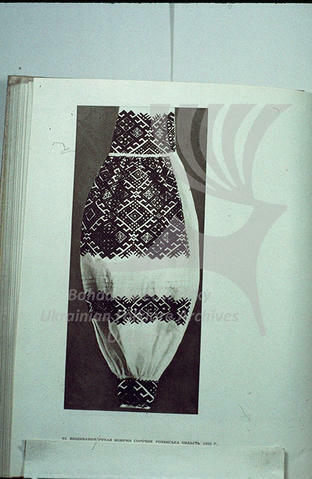 ItemPlakhta pattern (skirt). Sumy region. XIX century. Item - Embroidered sleeve of a woman's blouse. Rivne region. Embroidered sleeve of a woman's blouse. Rivne region.